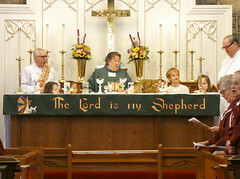 Sunday, June 14th is New Consecration Sunday at Good Shepherd! This will mark the culmination of our new annual stewardship campaign. There will be a bountiful luncheon in the Good Shepherd tradition to follow the 10 am service. 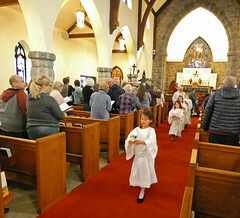 New Consecration Sunday is a stewardship education program which teaches stewardship from a spiritual perspective rather than from a fund-raising perspective: the emphasis is on the need for individual disciples to Give rather than the church’s need to Receive. 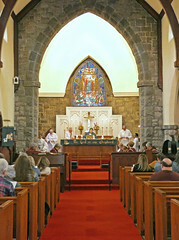 This new stewardship program has been adopted and embraced by our Vestry, especially during our transition. When we welcome our new Rector we will have already completed our stewardship program for 2016! What a blessing! Our guest preacher on New Consecration Sunday will be The Rev. Canon Rob Droste, Canon for Congregational Development and Mission for the Diocese of New Jersey. Stay tuned for more information in the next few weeks.